First Pier public input meeting to be held this evening at the Coliseum 7:00 p.m. The City of St. Petersburg is moving forward with the Lens design for the new St. Petersburg Pier, although Mayor Foster has set a deadline for organizers of voteonthepier.com. They must collect nearly 16,000 petitions by June 11th for the issue to go on the November ballot for a public vote. Recently the group reported that they had upwards of 14,000 petitions and climbing. Meanwhile, city officials are forging ahead with their plans for a new Pier. This includes hosting four meetings in June to gather input to refine the Lens concept. 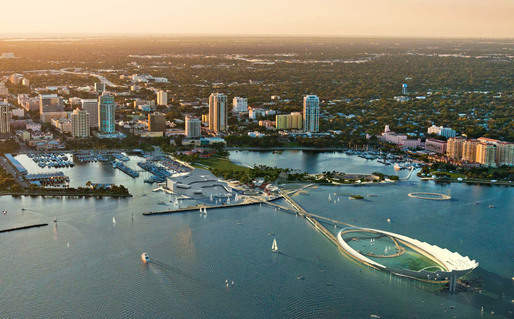 The first meeting will be held Thursday, June 7 at 6 p.m. at The Coliseum, 535 Fourth Ave. N.
City Council voted on May 17 to enter into an agreement with Michael Maltzan Architecture, Inc. for design and construction of the new St. Petersburg Pier. Other meeting dates/locations include June 12 at Enoch Davis Center, June 14 at J.W. Cate Recreation Center, and June 19 at Lake Vista Recreation Center. All meetings begin at 6 p.m.
Do you know all about the GREEN efforts in St. Petersburg, Florida? Recently, St. Petersburg Mayor Bill Foster along with the St. Petersburg City Council have been hosting public budget summits to offer the community an opportunity to speak up on what they consider top priorities to help address the city’s budget deficit. Overwhelmingly, people have expressed that they would prefer to pay more versus having services cut in the city—though they also would like some assurance that the city is using its funding as efficiently as possible in the process. To this end, several community members expressed that they think the city needs to have a stronger focus on “going green” to not only help the environment but also to help cut energy costs for the city. Foster quickly interjected that St. Petersburg has many green initiatives; that the city has accomplished a lot with plans to do more. And, on May 29th, the city held a ribbon cutting ceremony at The Coliseum (one of 21 city facilities) to recognize the successful completion of the city’s most recent green energy-saving investments. New solar panels for water heater systems, HVAC systems, chiller plant replacements, and lighting retrofits were installed at the Coliseum and City Hall. It is reported that these green changes will save $22,117 annually in energy costs. The May 29th ceremony was an opportunity for the City of St. Petersburg and Pinellas County officials, along with representatives from the U.S. Department of Energy and local contractors to gather, recognizing the completion of projects valued at $2.38 million. The funding source for the energy saving projects, which began in 2010, was the Energy Efficiency and Conservation Block Grant (EECBG), administered by the U.S. Department of Energy and available through the American Recovery and Reinvestment Act. More information on St. Petersburg’s green initiative can be found at: www.stpete.org/green. “Florida, a keyU.S.electoral battleground where the 2000 presidential election was decided by a few hundred ballots, will defy the U.S. Justice Department’s warning to stop its effort to purge ineligible voters, a state spokesman said on Saturday. OUR OPINION: Scott administration should focus on access to voters, not impose obstacles. 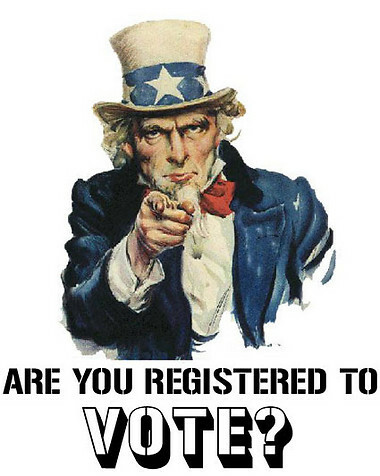 The Scott administration’s attempt to purge the voting rolls of suspected noncitizens violates federal civil rights laws, the Justice Department warns, and the GOP-led Legislature’s law imposing a 48-hour deadline on the League of Women Voters, Rock the Vote and other third-party groups that hold voter registration drives is a bust, a federal judge rules. Democrats cry voter suppression. Republicans insist they’re simply trying to prevent voter fraud. Who’s right? The problem is the way state GOP leaders inFlorida (and various other GOP-led states) are going about it. They want to “prevent” a problem that there’s no evidence even exists. Florida’s charter schools are in deep need of funding to be able to sustain let alone grow and build as an increasingly popular education choice within our state. 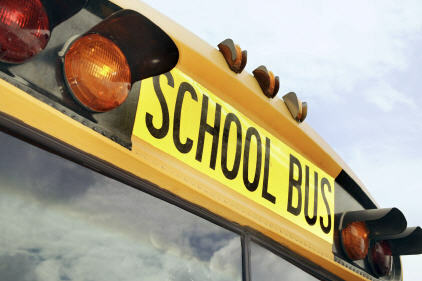 While Florida lawmakers agree that charter schools are in need of renovations, equipment and software, they also have rejected a proposal that school districts say would take money from their traditional public schools and give it to charter schools. For anyone not familiar with charter schools in Florida, these are public schools of choice available within public school districts that do not charge a tuition. They are very popular and are among the fastest growing school choice options in the state. The purpose of charter schools is to offer more effective, innovative programs and choice to diverse groups of students. Most offer students a concentration on a specific field of study such as the arts, criminal justice, medical studies, etc. while still ensuring that core curriculums of math, sciences, and English are prioritized. Since 1996, the number of charter schools in Florida has grown to over 400 in 2010 with enrollment reaching well over 175,000 students. Many students move on to wait lists to address the increasing popularity of this choice compared to the number of slots available. Unfortunately, while charter schools are public schools, they do not currently receive funding in the same manner from the state and districts as traditional public schools do. “How do we treat all our public schools fairly? At this point I don’t see legislation that has completely satisfied that question,” said Rep. Marti Coley, (R-Marianna). [The] bi-partisan vote in the House Pre-K-12 Committee was a bold rejection of Rep. Adkins’ goal to hand our hard-earned public tax dollars over to for-profit charter developers to buy or improve private assets. This is the second failure by the House to pass this measure which was stripped from HB 903 by House K-20 Innovations days ago. Members of our alliance testified against companion bill SB 1852 last week in the Senate K-12 Education committee. That bill still gives public tax dollars away to for-profit corporations to buy and maintain assets the public will never own. We oppose any and all efforts by politicians to turn tax dollars over to private corporations who value profit over the children we love. This issue has regretfully become a battle with Florida school districts pitting themselves against charter schools and the funding they need to survive. The evidence we have been presented concerning the malfeasance, misfeasance and nonfeasance of the Broward County School Board (Board) and of the senior management of the Broward County School District, (District) and of the gross mismanagement and apparent ineptitude of so many individuals at so many levels is so overwhelming that we cannot imagine any level of incompetence that would explain what we have seen. Therefore we are reluctantly compelled to conclude that at least some of this behavior can best be explained by corruption of our officials by contractors, vendors and their lobbyists. Moreover, many of the problems we identified in our inquiry are longstanding and have been pointed out by at least two previous Grand Juries. The county’s charter schools legal representatives painted a clear evidentiary picture of specific management problems found and detailed in the report, which included: 1) lack of accountability; 2) lack of disciplinary authority; 3) infighting; 4) lack of training and standardization for inspectors; and, 5) inadequate record keeping. How these grievous issues within the Broward County School District relate to charter schools is that the charter school system doesn’t get as much money for building its funding, while the district is busy purposefully mismanaging the funding it receives, as it was determined by the Florida Supreme Court cited above. Additionally, city officials have maintained for years that Broward should pay the several million for police officers in schools for school safety and should contribute some funds for building improvements to help ensure sustainability of charter schools. Legally the district is not responsible for covering these costs, but it could. It currently pays half the city’s police officer cost. And, courts have ruled that the county district doesn’t have to help with building funds for the charter schools. The city-run charter school system of Pembroke Pines [in Broward County] seems a dream come true for many parents, with an A for academics from the state and graduates’ college-attendance rates in the high 90s. It serves about 5, 600 kids, and has a waiting list 12, 205 kids long. But it’s almost out of cash, and sinking fast. The five schools together face a $5 million budget deficit. Revenue is down from $50 million to $44 million; expenses haven’t decreased by much. And they only have about $5.6 million in savings. That doesn’t leave much of a safety net. City officials are considering cuts to close the gap. They might not buy new science text books, a move City Manager Charles Dodge admits will probably negatively impact student science FCAT scores. For charter schools to remain a viable choice for students and families, it is critical that the issues of equality in funding allocations be sorted out. Otherwise this innovative, proven successful education choice may no longer be an option in many Florida communities.